Have you been wondering what the gigantic hairdryer is driving around DC? 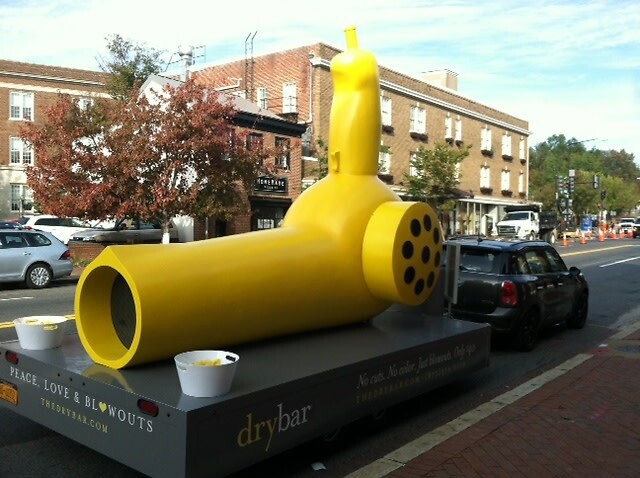 It's a super-sized, working version of "Buttercup," the official blowdryer (and muse) of Drybar, the all-blowout, no cut, no color hair destination opening in Georgetown and Bethesda this Friday, October 19 at 10am. Buttercup will be spotted all over the Washington and Bethesda regions, including the Bethesda Row Arts Festival this Sunday, October 21. The first 10 people to spot Buttercup in Georgetown and Bethesda and post a photo to Facebook or Twitter with the hashtag #DrybarInDC receive a free blowout from Drybar!